Discover and develop your creative abilities with a group art class. The Creative Arts Center at Thompson Park is one of the finest in the area, offering instruction in art, pottery, and ceramics. Before or after class, take a scenic walk on the trails, have a picnic, or visit the playground. Call 732-842-4000, ext 4253 for more information. Adults design a pair of earrings and children design a key chain using beads and wire. It’s easy, and there are no mistakes! Participants choose a plain ceramic item from our selection of figurines, bowls, vases and lawn ornaments and then paint them with their own design. Our staff will glaze and fire the pieces for your group, and in one week you can pick them up. Create beautiful models using this ancient Japanese art of paper folding. Work with different types of paper…or even dollar bills! Learn to paint like the impressionists with brush stroke techniques, color blending and more. Participants create a unique painting that resembles a famous impressionistic masterpiece. Get your friends together to learn basic pottery techniques. This activity must meet twice. 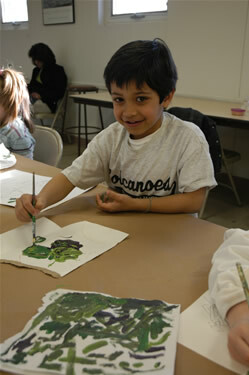 In these group activities offered at Dorbrook Recreation Area, children participate in unique craft programs designed to stimulate the imagination. For more information, call (732) 542-1642. Children make felt hand-puppets using pre-stitched puppet bodies, felt body parts and glue. Then, they participate in circle time featuring stories and games. Groups choose from three styles: African, Mardi Gras or Theatre, and decorate their masks using beads, feathers, raffia, sequins, glitter, crayons/markers, etc.